who else can we sue? A woman is suing Starbucks for more than US$5 million (S$7 million). Her claim: That the coffee giant is under-filling its iced coffees / teas (and other drinks) making customers overpay for beverages. Pincus says that since April 2006, she and millions of other Starbucks customers have been defrauded because Venti cup customers get only 14 ounces or 0.4 litres of beverage – the amount of liquid obtained when filling cups to the top line – even though menus state a 24-ounce total. 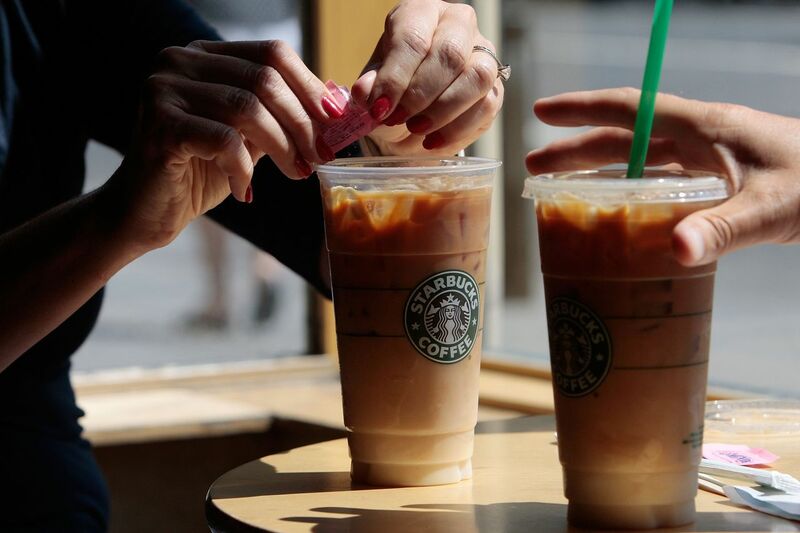 Pincus is also challenging Starbucks’s pricing, saying it charges more for cold drinks than hot ones. Full Story HERE. This is happening in Washington and the woman is from Chicago. It’s still giving us ideas tho. Sue our telcos for promising us 12gb then taking it away and charging more for 2gb after that? Sue women who wear push-up bras for false advertising? Sue the hawker stalls that say 100% sugar cane but in fact dilutes it with ice? Sue bubble tea shops for more bubbles than tea? Sue bubble tea shops for more tea than bubbles?